03fatcats is based in United States and have been selling on eBay since 2003. They have earned over a thousand positive feedback ratings, with a current 99.3% positive overall score. They run a store called MAC's Diecast and more selling in Toys & Hobbies and Collectibles categories. 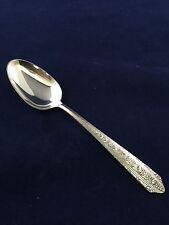 Wallace Normandie Sterling Silver 5 O'clock Teaspoon - 5 3/8"
Wallace Sterling Silver Normandie Solid Cream Ladle - 5 5/8"
Wallace Sterling Silver Rose Point True Dinner Knife 9 7/8"
03fatcats cancellations, returns, exchanges, estimated shipping times, customs/import taxes, store policies, payment options and shipping information can be found here. 03fatcats is shipping from Tacoma, Washington, United States. Other sellers from United States 1410janet, 2ndchanceauctions, accessories_usa, aczombie and aelitemedical. Browse all sellers based in United States.